Shortly after the split, Olley had stated that it would take something very special to lure him back into the group scenario, enjoying at the time his own freedom and ability to experiment at will in a bid to totally finding himself within music. So it came as a big surprise when August 2012 saw the announcement that the band was re-forming. This came as a delight to their loyal following, as any fan will tell you that on their day Six.by Seven are more than a match in the world of rock music for any of the more household names such as Ash, Kasabian, Muse, Kaiser Chiefs and the Manic St Preachers – who, incidentally, have either supported or been supported by Six.by Seven; most people will find it hard to believe that the majority of these bands have actually played second fiddle on the bill in these instances rather than headlined. Why this band is not in the upper echelons of the British music scene is an enigma that many have questioned yet failed to answer. It is more than likely a combination of things, such as luck, lack of key radio airtime (although they were championed by the legendary John Peel, for whom they recorded 5 sessions), escaping the hype machine except at the very onset of their career, but most of all timing – were they ahead of their time in a similar way to bands like The Velvet Underground, Big Star and Spacemen 3 whose influence helped shape them? Stereoboard were given the exclusive privilege of accessing the studio and the insight of bandleader Olley during this exciting new beginning for the band, and discovered during the process that the catalyst that drew them back together did not emanate from within the band itself…ex-Placebo drummer Steve Hewitt had been singing and playing guitar in his own band Love Amongst Ruin when Olley met up with him in London. 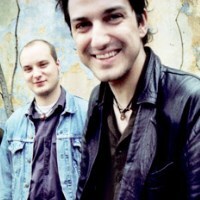 Six.by Seven had previously supported Placebo, where the 2 first met. “He’s the British Dave Grohl in my opinion”, he continues. “He’s a very flexible drummer who is always trying to enhance the music. He can do amazing things but he’s never flashy when it’s not needed. Most of all he’s a musician and a songwriter in his own right so he is always coming at it from that angle”. Once the 9 tracks had been chosen, it was off to Bath. 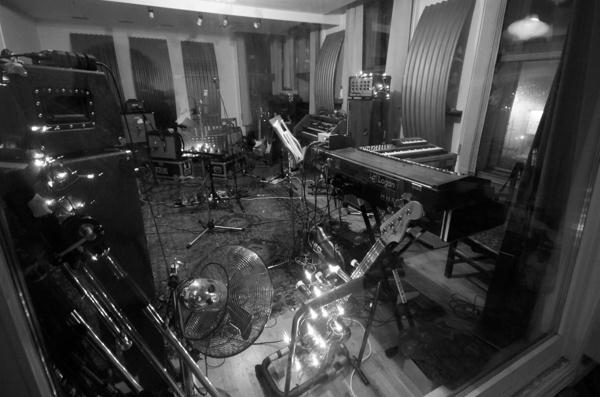 “Moles is a great studio, it’s got a SSL desk and a fantastic sounding drum room. Also, Dan Austin lives in Bath”. 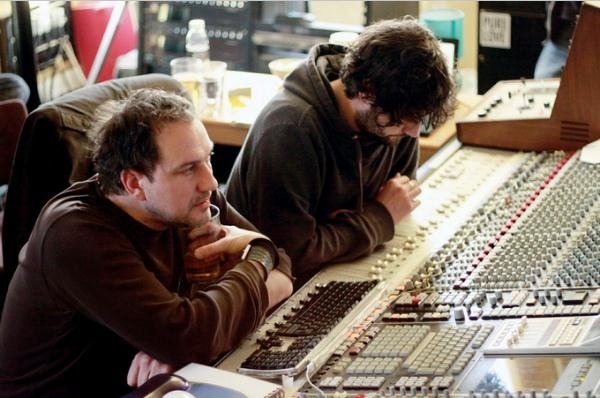 Austin has produced many acts including Doves, Starsailor, James and The Cooper Temple Clause. To the uninitiated, Six.by Seven would appear to fit in well with this mix of bands and Olley adds, “Dan is amazing to work with, and he’s a fan of Six.by Seven too” ...which always helps, of course. Regarding the history of the band, Olley muses, “I don’t have a clue why we never sold a lot of records. Maybe we were ahead of the times a bit. I think we paved the way for bands like Sigur Ros and Arcade Fire though. I think we were unlucky – we always used to talk about the band being cursed!” Perhaps a more memorable band name may have helped as there is no escaping the fact that bands naturally drift in and out of the public consciousness, mainly dependant on airplay as well as current movements. And when airplay is restricted to BBC Radio 6, which appears to be the main, if only, radio outlet listeners can currently get to hear the band then that’s another tough obstacle to overcome. Back to the new album and what can fans old and new expect to hear? “It’s got huge build-ups and it’s very, very personal and emotional. It’s got all the ingredients of that big Six.by Seven sound.” When challenged to go into more detail, Olley replies, “Let’s just say these songs are about relationships, the relationships that most of us have within our lives. These relationships can be very difficult and can shape us. For me, this album is about letting go of all of that”. When asked which one Six.by Seven track Olley would recommend to people that were new to the band he replies with, “Anything off this album we’re doing now. It sounds massive”. This is a bold, confident statement about the new music and one that will have fans eagerly awaiting its arrival. For those that wish to check the band out before the new album is released, a visit to their website at www.sixbyseven.bandcamp.com is highly recommended. Here you will find the bargain priced 9 CD album Box Set of Six.by Seven/Chris Olley/Twelve material for just £5 plus P+P as well as a FREE 23-track download of highlights from these albums. The range of styles is fairly broad – in short, there’s just about something for everyone here and with 3 earlier albums also in their catalogue there is a wealth of material to wallow in for serious music fans.